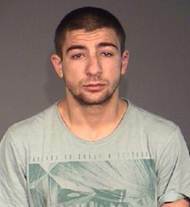 ACT Policing is seeking the public’s assistance to locate 21-year-old Nick Parlov, who is wanted on outstanding warrants. Police believe Mr Parlov is actively avoiding police and are seeking the public’s help to locate him. He is described as Caucasian in appearance, approximately 163cm (5’4”) tall, of medium build, with green eyes and brown hair. Police ask the public not to approach Mr Parlov and request anyone with information about his whereabouts to contact Crime Stoppers on 1800 333 000, or via www.act.crimestoppers.com.au. Information can be provided anonymously.